A couple of days ago I picked up a box from my parents containing some old computer stuff. 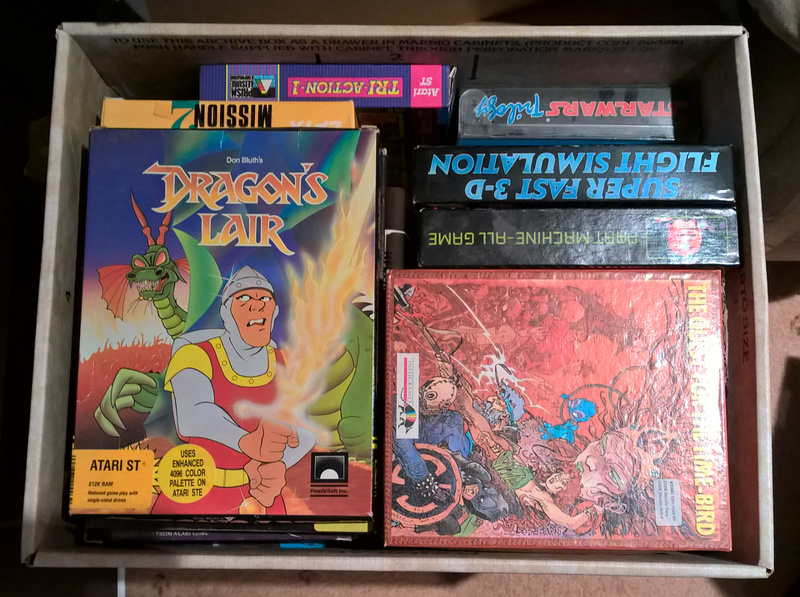 Turns out it was full of even more boxes BUT they were also the original game boxes for many of the Atari ST games that I’ve got stored away so I ended up on another trip down memory lane going through a few items in the pile. The pics here are all photos I’ve taken of the boxes with a few tweaks to tidy them up… some of the games still even have the shrink wrap and original price stickers still on them after all this time! Videos are courtesy of YouTube. The 16bit computer versions of the Don Bluth laserdisc game were the first to attempt matching the original in both graphics and sound. Getting all of that animation and digital audio down to a useable form on the computer was quite an achievement but it also required the user to be frequently swapping among the 5-6 floppy disks. Even with all those discs, making it one of the biggest games on the platform, it only covered the first half of the game. And those ST gamers with single sided floppy drives were even worse off; only getting access to half of the sequences. 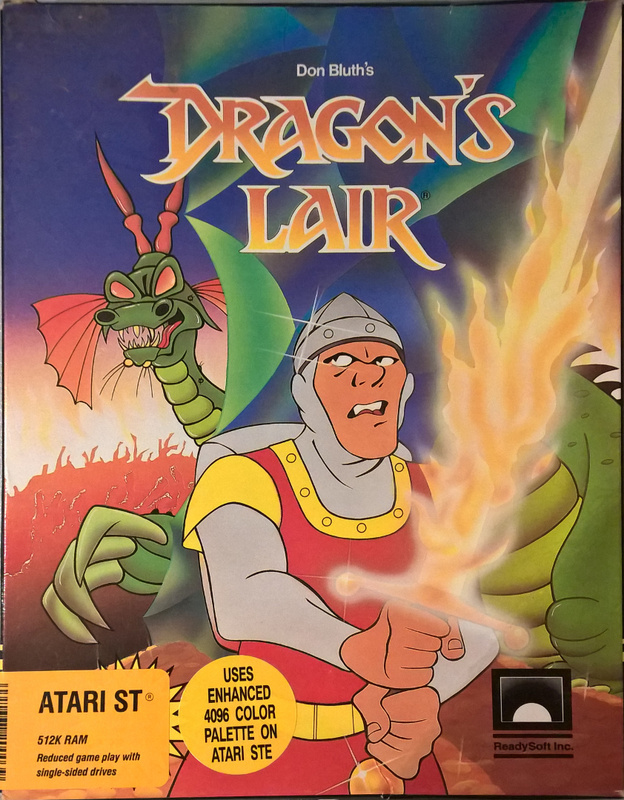 No matter how you might rate Dragon’s Lair as a “game”, it was an impressive technical achievement that not only pushed the graphics and sound capabilities of the ST but tested the reliability of its disc drive. 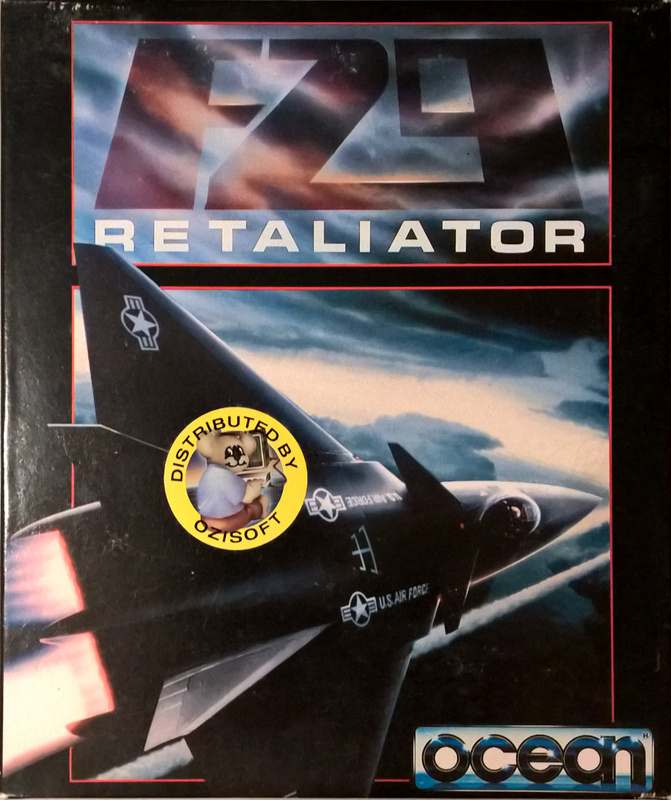 From my perspective, the release of F29 Retaliator was a huge surprise from publisher Ocean Software – they were more known for game and film conversions and not much for original content, let alone a flight simulator. Yet with this game they came up with something special. Though it wasn’t the biggest or most detailed of simulations, the game succeeded thanks to its brilliant presentation and highly accessible design which made it an easy choice for players wanting a pick up and play experience. I really, REALLY liked how this game looked. 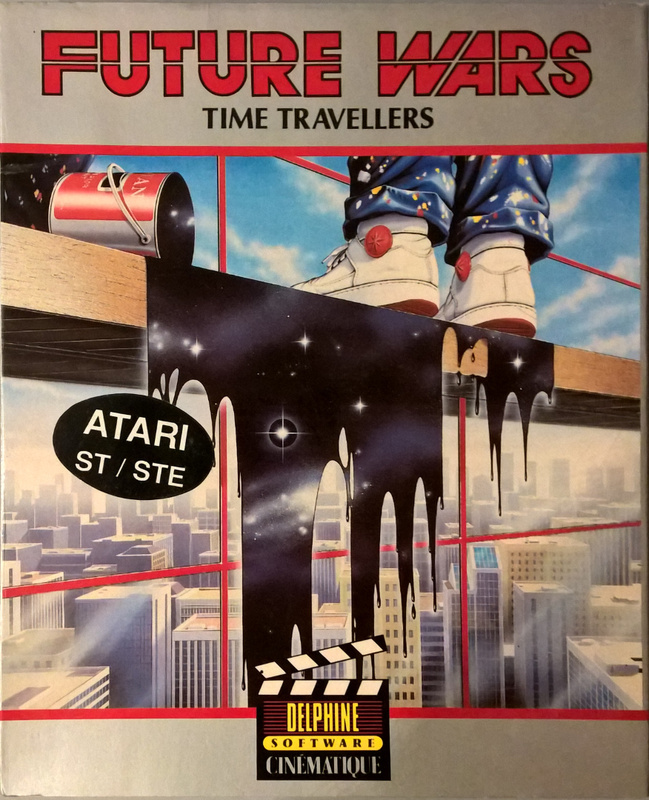 Not only did it have some of the smoothest 3D graphics I’d seen at the time but the designers had a good eye and made amazing use of a limited colour palette. 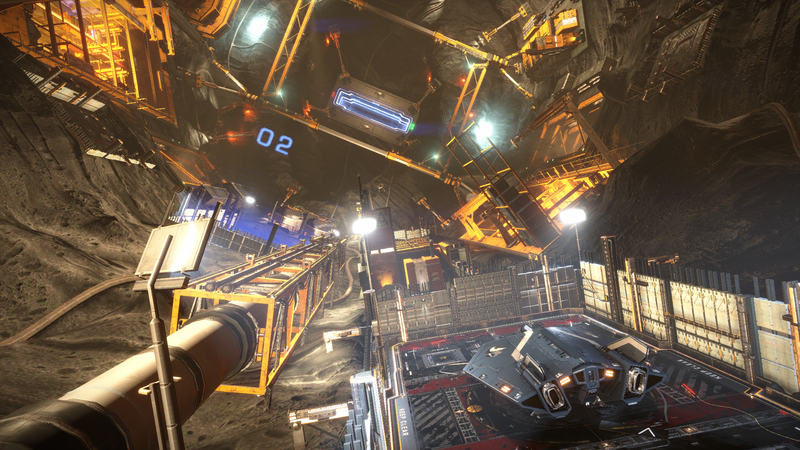 Menu screens and cockpit views looked detailed and realistic. With enough missions to keep players occupied for hours it represented a lot of value. Also worth noting is that members of the developer Digital Image Design would later form Evolution Studios, creating games including MotorStorm and DriveClub for the PlayStation platform. Point and click adventures may have taken off in the 16bit era thanks to Lucasarts early classics but they weren’t the only ones delivering amazing experiences. Starting off as a window cleaner, your character gets dragged into a conflict spanning the ages. The graphics at the time were striking and detailed but the unfortunate side effect of it was players needed to pixel hunt for key items. Members of the development team would move onto bigger and better games including Operation Stealth and Another World. Please note that the video below is of the Amiga version – unfortunately I was unable to find a comparable version for the ST but it holds ups well in comparison. Will Wright’s urban planning toolbox was not only a smash hit but a great game that made good use of the ST’s graphic user interface (known as GEM). The ST version might not have allowed the detail of the Macintosh version but it was made up for by its use of colour. The box was packed with something handy too in the form of the game’s copy protection: a code sheet (disguised as a “high score list” of the world’s cities) printed on dark red card that was considered impossible at the time to photocopy. Unfortunately colour copiers, the Internet and patient typists put an end to that but it was an admirable attempt. 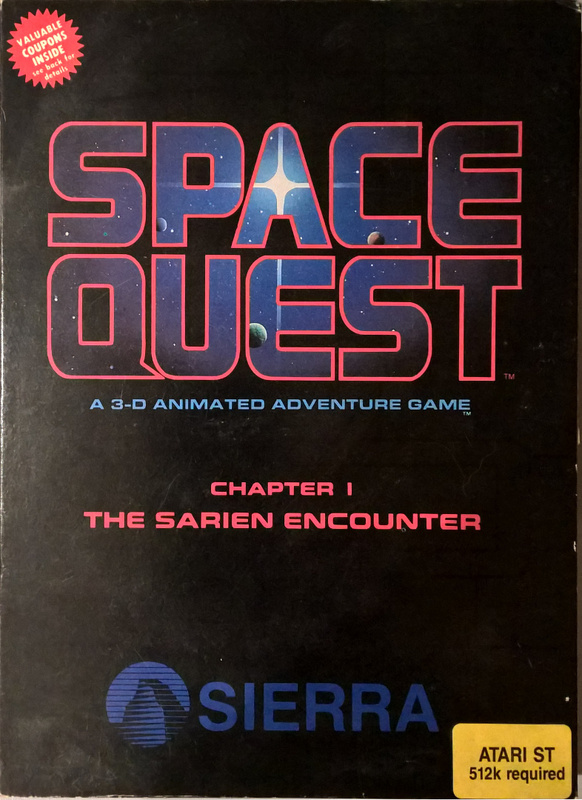 Sierra were onto their own winning streak with adventure games and the first Space Quest brought science fiction and comedy together admirably. The game casts you as Roger Wilco, interstellar janitor extraordinaire, who is the last surviving crewman of a ship that has just been attacked. Somehow you need to escape and then figure out how to save the day. Though the technology driving the game was ancient compared to those adventures that followed, there was a lot to like thanks to great writing and numerous sci-fi and popular culture references. 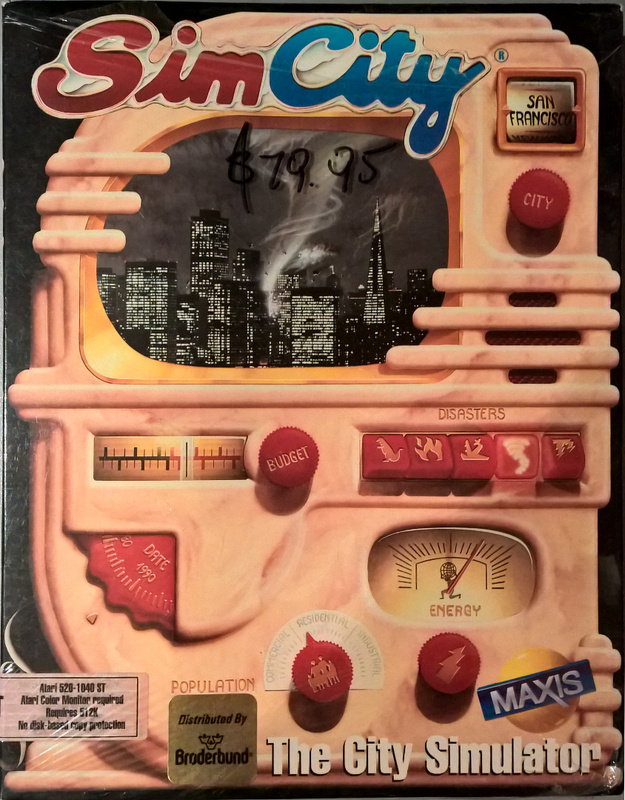 Much like SimCity, the contents of the box had its own form of copy protection but in this case it was a little more clever about it. At one point in the game you need to buy a spaceship but you’re just a few dollars short. Turns out bundled in the box there was a discount voucher that when “used” will let you get that ship. It’s a cool touch. Introducing The Late Night Session forums!